This planner is my beloved analog catch-all! Here I keep my weekly calendar, to-do lists, blogging and newsletter schedule, business trackers, day-to-day notes and doodles. I love technology but using this analog system helps my brain prepare for the week ahead and stay focused and organized. 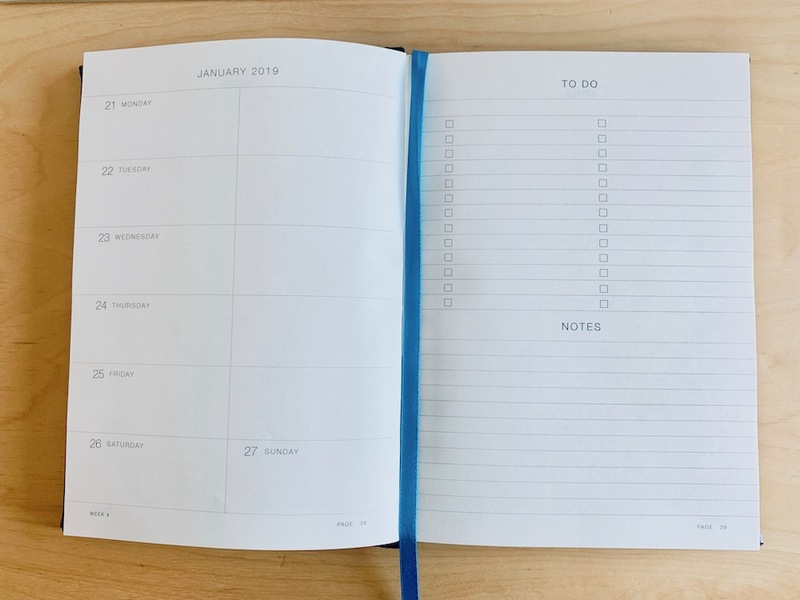 This 2019 business planner comes with a weekly overview PLUS two extra notes pages after each week so there is plenty of room for notes and scribbles. No other annual planner does that! Watch the video: how it works! I've basically taken everything I've done over the last few years to keep track of my business activities and visions and created my own BuJo type version of a planner for online entrepreneurs. I hope you love it as much as I do!